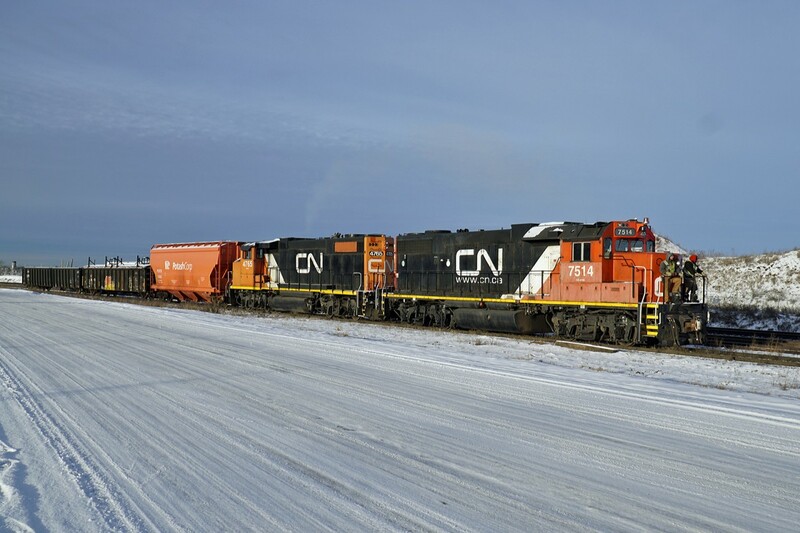 Railpictures.ca - colin arnot Photo: GP 38-2 CN 7514 and GP 38-2(W) CN 4765 bring 3 cars off the Camrose Sub and into Clover Bar Yard. | Railpictures.ca – Canadian Railway Photography – photographie ferroviaire Canadienne. Caption: GP 38-2 CN 7514 and GP 38-2(W) CN 4765 bring 3 cars off the Camrose Sub and into Clover Bar Yard.